The City is working to develop a plan to improve connections to existing roads & improve mobility for people who bike, walk, drive & take transit along 144 Ave. N.W. Phase 2: Explore. We are now in the design concepts development phase. Thank you for providing your input during the Discover phase. The What We Heard Report is now available. We invite you to find out more about the project. The City of Calgary is undertaking a functional planning study for 144 Avenue N.W. This study will look at the general design and placement of 144 Avenue N.W. between Symons Valley Road N.W. and Panorama Road N.W., including the West Nose Creek crossing and the future realignment of Symons Valley Road onto Mountain View Road (see study area map below). Existing growth in Symons Valley and planned growth in the Glacier Ridge Area Structure Plan area drives the need for infrastructure improvements to the area transportation network including providing support for important active travel modes and transit connections. More information can be found on the study page. Rapid development of lands south of the 144 Avenue N.W. study area and the planned development north of 144 Avenue N.W. (Glacier Ridge ASP) has placed increased pressure on The City's efforts to pre-plan the transportation network requirements necessary to accommodate the many development initiatives in the area including: new alignments for Symons Valley Road, Shaganappi Trail and Sarcee Trail. The 144 Ave. N.W. bridge over West Nose Creek (between Symons Valley Road and 24 Street N.W.) will improve overall transportation network connectivity in northwest Calgary. 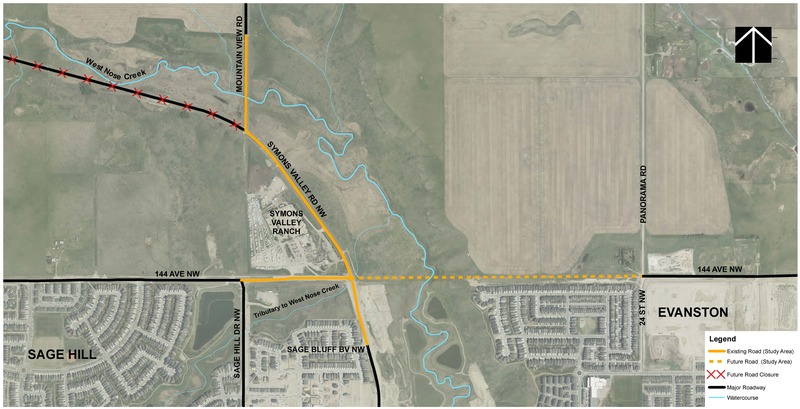 Investing in Mobility has identified the bridge crossing of West Nose Creek as a leading infrastructure requirement for development of any new communities north of 144 Avenue N.W. Project Area Map For 144th Ave N.W. The City of Calgary appreciates the communities’ participation throughout this project and would like to thank everyone who provided input and feedback. The What We Heard Report for the Discover phase is now available. For more information about the study please contact the project team at 144AveNW@calgary.ca. 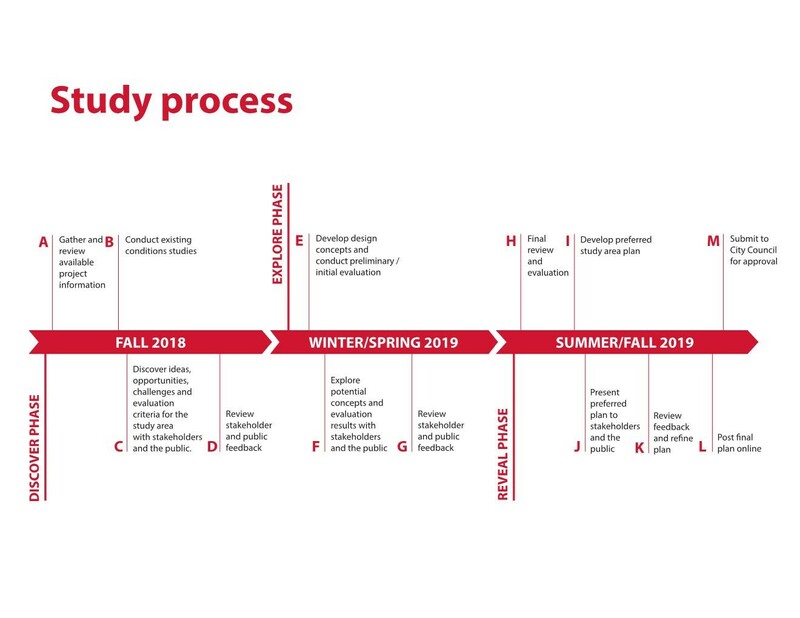 In Winter/Spring 2019, we will explore design concepts and evaluation criteria with stakeholders and the public. By Fall 2019, we will reveal a preferred plan to stakeholders and the public. The City will be looking for feedback on issues and ideas for 144 Avenue N.W. We will work with the community to identify opportunities and develop evaluation criteria for consideration in the development of the 144 Avenue N.W. functional planning study recommendations. The City of Calgary appreciates your participation throughout this project.